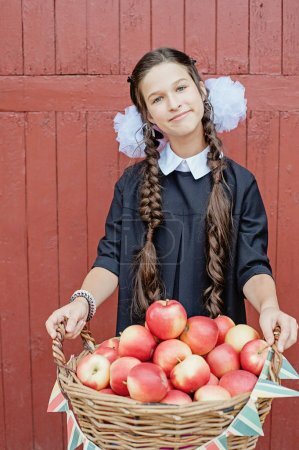 Portrait of a happy school girl with a basket of red apples on wood backgrond Farewell Bell. day of knowledge. beginning of the school year.